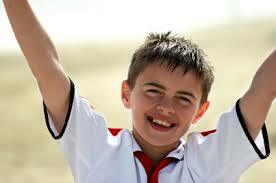 Top Tips for Teaching Self-Confidence - Energetic Juniors - Contact Us! Some children naturally have a lot of confidence in themselves and in what they are capable of. They take on leadership roles, fight to be the stars of their class, and they excel in all areas that are expected of them. For other children, it can feel like an endless battle to fit in. They may feel shy, less intelligent, socially awkward, or can be teased or bullied. If left unaddressed, these feelings have the potential to lead to anxiety, depression, or social isolation. Working with your child to build their self-esteem will lead to a healthy positive lifestyle. Here are five examples of how you can support your child and increase their confidence. Making decisions is one of the most important skills a child can learn. It can help them navigate peer relationships and advocate for themselves — two challenging tasks for a child who has low self-esteem. Encouraging your child to practice making decisions in a comfortable setting such as their home, can lead to confidence in decision making elsewhere. Processing is another important part of decision making. If the choice does not go the way they wanted, you can later discuss what went wrong. Some parents try to force their child into extracurricular activities that they think will make their child a more well-rounded person. But if they keep trying and failing at an activity that they are not suited to, their confidence may suffer. By participating in activities of interest, they can increase confidence and self-esteem. Sitting with your child and making a list of their favorite activities can help them feel in control. Additionally, it can also help your child feel more excited to participate in the activity that they choose. Setting long-term goals can be important to help your child have direction in their life. At times though, long-term goals can seem challenging and unreachable. In addition to setting long-term goals, setting short-term goals that are easy to achieve can really help your child feel empowered and successful. Make sure the goals are manageable and easy to follow through with. As a parent, there are times when it can be challenging to focus on the positive behaviors your child is exhibiting. The every day stressors of balancing children and family life can cause a parent to feel overwhelmed and frustrated. When feeling this way, it can be easy to focus on your child’s flaws when they are not following through with something. For example, you may think, “Why can’t he put his dirty socks away in the clothes hamper?” or “Why can’t she take care of her pet?” It is important to balance these statements out with compliments to your child when they do something right. Positive attention from a parent or adult figure is a great way to build confidence. When things become challenging, children tend to focus on the negatives. At times, they may say something like “I have no friends.” Break this statement down with them and see if there really is evidence that they have “no friends.” Typically, the way that the sentence is phrased will end up having an inaccurate depiction of the real situation. Having your child explore the statement and discover the errors associated with it, can boost their self-confidence. Parenting is not an easy task as your child is constantly growing and learning. Working with them on ways to increase confidence is important for a positive outlook on life. Continuing to support your child in feeling good about themselves will go a long way for their future success. Liz Morrison, LCSW is a licensed clinical social worker with a psychotherapy practice in New York City, where she works with children, adolescents and their families as well as emerging adults. Liz obtained a Masters Degree in Social Work from Columbia University, as well as a Masters Certificate from New York University in Child and Family Therapy. In her work with children and families Liz specializes in behavior disorders, ADHD, anxiety, self-esteem issues, and social skills. She also specializes in anxiety disorders, relationship issues and life transitions in her work with adults.